This lovely everblooming shrub has large, single pink flowers with a red center eye and bright yellow anthers. 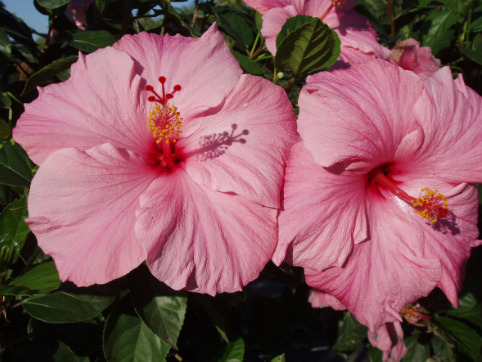 A staple of both tropical and temperate landscapes, grow in mixed borders, or in large containers that can be moved indoors to overwinter, if necessary. Heat tolerant and prefers neutral to acidic, well-drained soil.